There has been a ton of speculation around the Motorola Moto X for quite a while now. We've tried our best to bring you only information that has been confirmed by someone close to the project, and we're hoping that diligence has led to a more accurate view of the upcoming device. We've asserted for months that it would not be a spec-busting device, but it looks like we should expect official confirmation on July 11th. 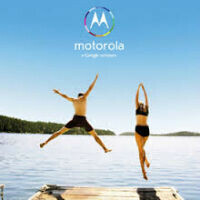 When the first ad for the Moto X leaked, an observant reader noted that the people jumping into the lake looked to be in the shape of an X and an I, and went on to posit that this might be pointing towards July 11th as an important date, because XI is the roman numeral for 11. It sounds like that might be a pretty accurate guess, because Leo Laporte has said that he was invited by new Motorola employee Guy Kawasaki to an event at Motorola on July 10th and 11th. It was not made clear what the event would be about, but Kawasaki apparently made it clear that it was an event for select tech journalists, and that it was going to be something quite important. It's possible that the event will also include word on the Motorola DROID RAZR Ultra devices that we have been expecting, but it seems more likely that Motorola would want to keep the day for the Moto X alone. As we have said many many times, the device will most likely be a Snapdragon S4 Pro, 2GB of RAM, ~3300-4000MmAh battery, and 720p display (maybe sapphire glass.) If you expect more than that, you're probably setting yourself up to be disappointed. Learn to manage your expectations. It'll make you happier. if you're holding out hopes for a surprise let it be for the Ultra. it'll probably be Motorola's higher end subsidized phone promised to Verizon. i'm pretty sure we have a solid basis to go on for the Moto X and it's not that it'll be a Super Spec'd device but a great value instead. That's what I'm telling people too; expect disappointment. This phone will be a midranger by today's standards. Motorola is trying to push external customizability like colors and engravings. The next razor's sound more interesting from a hardware point but I'm expecting disappointment there too. Don't get me wrong; I want them to come out swinging but their months behind the competition and when they catch up it's too late. If you think that a Snapdragon S4 Pro, which powers the Optimus G and Droid DNA and kicked the s**t out of the quad core Galaxy S3 in benchmarks, is disappointing, then you're smoking something really good. Here's the skinny: people really, and I mean really, don't give a fu-ck even if it's flying at Mach 5 when it comes to specs. If people were all about the edgiest processor possible all the time, no one would buy the iPhone. What people care about is whether the phone works well and fills their needs. An S4 Pro with 2 gigs of RAM is more than enough to run Android and just about anything available for it, especially without a heavy OEM skin. I don't even go over clock speed or processor cores anymore with customers unless they're super tech geeky about it like I am. What I mainly go for with Android phones vs. the iPhone are screen size and clarity, convenience of features, and the flexibility of the operating system and hardware. Processing power rarely comes into it, unless I want to make a point about how far along the hardware has come on phones running Android. This usually comes up if someone is worried that a Galaxy S4 or Optimus G will run exactly like the fu-cking Backflip or Instinct. At this point, my Atrix 4G runs Jelly Bean 4.2.2 smoothly with virtually no lag, on the original goddamn Tegra 2. This is even with custom launchers and themes, which by all rights should slow it down. I'm also pretty sure that if I rooted my Galaxy Note and ripped Touchwiz off of it, it would run a lot better too. People originally cared about processors on Android because faster processors eliminated more lag, which, admittedly, was an issue on the original versions of Android. Specs became a big deal because they were so crappy compared to what we have now. Just in terms of clock speed, the Galaxy S4 has 12 GODDAMN TIMES the processing power of the original Motorola Droid, and 18 times the storage space (and I'm only counting available storage on the S4). Remember when my Droid X hit 1918 on benchmark tests after it got Gingerbread? You probably weren't here then. http://www.phonearena.com/news/Motorola-DROID-X-hits-1918-points-on-Quadrant-after-Gingerbread-update_id18293 It was kind of a big deal. No, I mean really. At the time a score like that was top of the line. Now, about a year or so ago, Quadrant was updated to support multiple core processors, which nerfed the results of single core phones. Keep this in mind when I tell you that the Galaxy S4 scored a GODDAMN 12,422 on Quadrant. Even keeping the 1918 intact on my formerly top of the line Droid X, that's 6 times the score. Point that I was making is that Android phones are ridiculously powerful now compared to what they used to be. We've shot way past the point where we needed to be in order to make the phones usable for the average person. Google is smart to understand this. Battery is sweet. But why still a 720p display n not a 1080p? Don't Motorola want too keep up with the competition? I hope that you're only off with the battery as otherwise the phone will be extremely underwhelming. Oh, that's very clever, very clever indeed. I'm going to a trade show on the 11th, which Motorola is supposed to be at. Perhaps I'll get a hands on experience with the Moto X? I said this three days ago. I must be the observant one. Phonearena usually doesn't attribute names unless requested for the sake of anonymity. I never had any avatar for two straight years. :P If you're talking about the Iron Giant, that pic is long gone. It was stored on a computer whose hard drive died. and where are Droid bionic lovers? NicolasOliver? oh boy, i'm so excited for this! it's sounding like i may be getting a Moto X instead of an HTC One. how silly was i for thinking the HTC One would come out for Verizon before hearing more about what Motorola is bringing to the table this year. The anticipation is building. I am quite excited about this. Finally a phone targeted for people like me, who want a good phone without being left behind due to price. I will be watching and waiting impatiently for this.